I never had much problem apologizing for the things I do wrong. Though, of course, I never do anything wrong. Just ask my parole officer. But for some of you gadgeteers out there, communicating an apology might be one of the hardest things for you to do. And you’re not alone. Thankfully, there’s a way to apologize without having to be respectful enough to do it face to face with the victim. 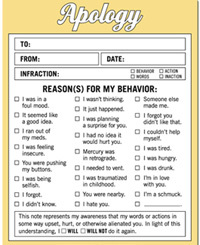 These handy pads of Apology Forms provide a nice little template for saying your sorry, the easy way. Not to mention, it hosts a list of some truly awesome excuses. So, you left the toilet seat up, and your wife is pissed off. Ok, I guess that’s understandable. But we really need an excuse without having to admit we’re lazy. Let’s just check our handy Apology From. Hmmm, “Mercury was in retrograde” seems like a mildly obscure one. She’ll never knew what hit her! Surprisingly (or maybe not so surprising, depending on how you look at it), this is not the first of its kind. Back in 2006, we wrote about the SnackShotz Treat Launcher. While the SnackShotz has a similar concept, this DogFree Snack Launcher is totally cooler and much more practical. Just take a look and compare, you’ll see for yourself. 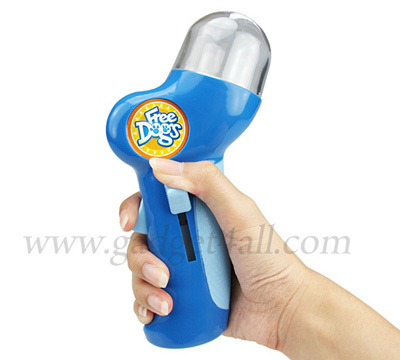 The DogFree Snack Launcher adds an interesting new twist for spoiling your canine companion. Load the launcher with your dog’s favorite treat and press the trigger. The treat will launch far enough to add the extra incentive of fetch into the treat process. The result? More fun than traditional treat feeding, for both you and your wonder pooch. How do you feel about looking like a sweat band-wearer straight out of the 80s? You’re okay with that? How about if we add in an awkward wire extending out of the forehead area? Don’t worry about looking cool. You’ll be asleep for most of the time. These are the Sleep Headphones, straight from the pages of Etsy. 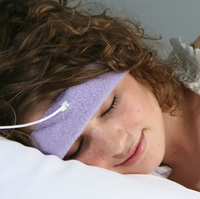 The Sleep Headphones are made to fit comfortably around your head and ears while you sleep. Wearing a big set of muff headphones just doesn’t do the trick when your trying to pass out. But then again, listening to your significant other’s persistent snoring isn’t doing much for your sleeping habits either. The Sleep Headphones look like they could be worn all night without a hitch. Scoop, feed, wipe, repeat. New parents are all too familiar with this constant cycle of baby feeding. It seems easy, just because it’s the only real option you have. Not too mention that having an open food jar near a curious infant is never a good idea. Get ready for a spill! I know, I know. You’re probably saying to yourself, “Well, I’d like to see you try it, CG!” While we aren’t quite ready to take you up on that offer, we can at least provide an alternative to the same old, same old. 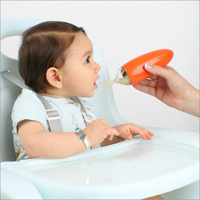 The Boon Squirt Baby Food Dispensing Spoon is a practical eating utensil which can hold up to 3 oz. of the finest purée, feeding your baby one freshly squeezed spoonful at a time. Once again proving that the iPod leads the pack where it wants to go, Dell Computers has introduced a new MP3 player for under $100. 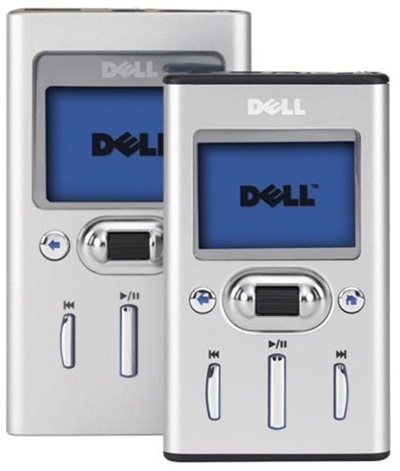 If you remember the last Dell MP3 player, you know that didn’t end pretty. So what makes the tech world think this will be any different? The answer is Wi-Fi. In an effort to use renewable energy sources and less polluting products, I’m surprised that I never see barbecues being targeted. Everyone always thinks of cars or big industrial factories as the ones that leave the huge carbon footprint, but no one thinks about grilling. I mean, if you’re burning something, that smoke has to go somewhere. And I’m certain that propane is some sort of pollutant because it smells so funny. Designer Sean McGreevy has addressed this issue with the Helios, an energy-efficient outdoor cooker. The dish that you see is not designed to pick up 400 stations, but for collecting solar energy. 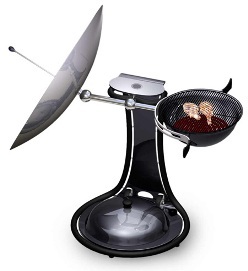 The solar dish, which is safely pointed away from you while cooking, is designed to heat a coil inside the barbeque and cook food. 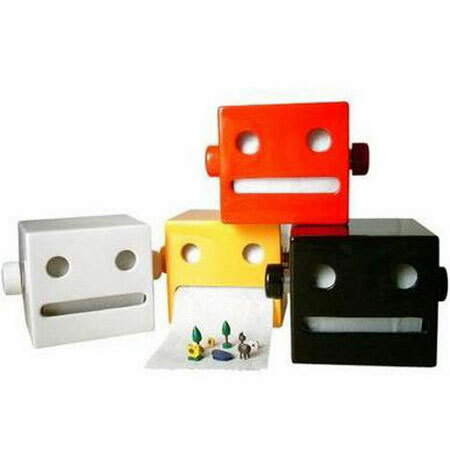 These robot toilet paper holders may not have a single hi-tech feature going for them, but the fact that they’re robot heads just makes up for it. Although I do wish they automatically ate the toilet paper when too much was hanging down. Maybe with a random sound effect to go with it. However, I’m afraid although these are incredibly cool, they are about as low tech as they come.